Kara Thompson grew up in Mullica Hill and has always been fascinated with health, nutrition, and fitness. As a child, she was a dancer and gymnast and in high school and throughout college she played softball and was part of the swim team. Kara pursued another passion in college and received a B.A in communications from Rowan University, but always dreamed of starting her own business. After having a baby and missing her days as an athlete, Kara decided to try Pilates, Zumba, and other group fitness classes. After one class, she was hooked. She loved the feeling of gaining confidence, strength, and burning calories while having fun…and she knew other moms like her wanted the same thing offered in a flexible schedule. Kara has taught adult fitness and student dance classes at the studio, but you will usually find her managing everything that goes into running the studio behind the scenes. Kara and her sister-in-law Megan, started Fit to Dance Studio with the dream of bringing a love of DANCE and FITNESS to Mullica Hill. They are thankful everyday for the F2D family of students, FIT clients, and staff. It is a pleasure to watch people young and old alike grow and express themselves through dance and fitness. To stay in shape both physically and mentally, Kara enjoys taking walks and bike rides with her husband Tom, sons Garret and Reid, and dog Harlee, where they live in East Greenwich. Megan Datz started her dance career at Dance! By Debra DiNote at the age of 7 and was a member of the Dance! Workshop Company for 11 years. Throughout her time at DDN she was in countless competitions, workshops and performances where she earned her way as a top performer and lead dancer in roles like Cinderella in "Once Upon a Glass Slipper". 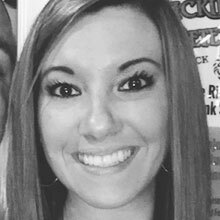 Megan attended Rowan University and graduated in 2008 with a BA in Child Drama and a Minor in Dance. While attending Rowan University she was a member of the Rowan Dance Team and Dance Extensions, holding the office of President of Dance Extensions. She was recognized with several awards and Honors, including the award for Best Choreographer and the recipient of the Bryna G. Goldhaft Dance Medallion Award and Scholarship, the highest honor a graduating senior can receive to acknowledge superior performance in her field. She has been an annual guest teacher at Dancing for Sheena in Allentown PA, for many years to honor her cousin who inspired her to begin dancing. 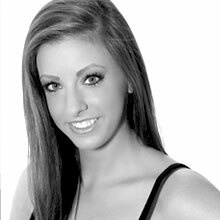 Megan has taught at various schools in New Jersey which led her to open up Fit to Dance Studio with her sister in law Kara, in Mullica Hill, NJ in 2012. The Studio has grown steadily every year and has nearly 300 students at all levels. They started a dance company called F2D Elite which competes and does various events in the community. Megan has earned top choreography awards at competitions with the Fit to Dance Elite dancers. She hopes to instill the love of dance and inspire young dancers to be the best they can be!! 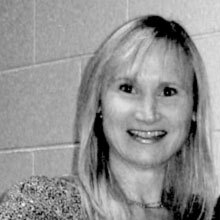 Kathleen Hornung is the Office Manager at Fit to Dance. 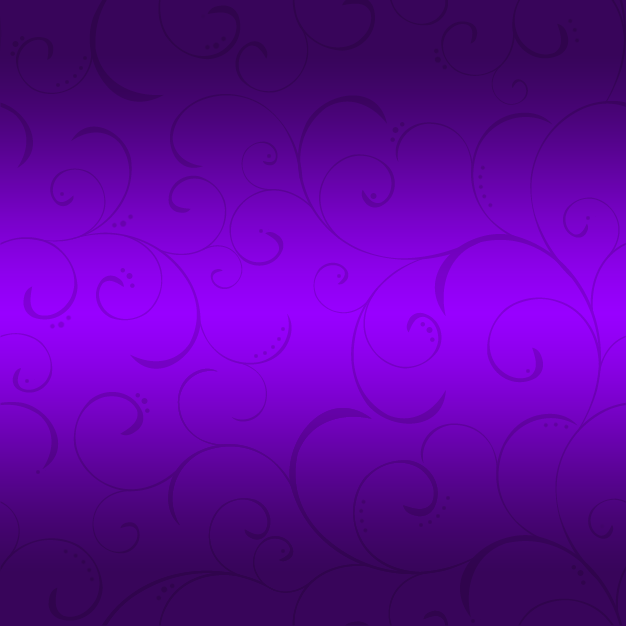 Her past experience includes several years serving as a retail manager. Kathleen has 3 great kids and her daughter has danced at Fit to Dance for several years. She is thrilled to be a part of Fit to Dance and is happy to help the studios dance families. Gabrielle Sclocchini's love for dance started when she was just three years old. She danced at Tricia Sloan Dance Center where she was a member of their Dance Company. Gabrielle was involved in their production of The Nutcracker as well as numerous other performances. She is a recent graduate of Rowan University and is now a graduate student at Rutgers University where she will earn her Masters of Social Work. When she is not teaching at F2D or studying, she enjoys working out and spending time with her family and two dogs at the beach. Kimberly Hill has been dancing since the age of four. She primarily received training under the direction of JoEllen Hoffman, Holly Boda-Sutton, Joan VanDyke, and various instructors at Broadway Dance Center and Steps in NYC as well as studios in Los Angeles. Most recently she has been a dancer for KN Dance and Entertainment under the direction of Katie Nanni-Sullivan, and participates in various corporate dance events in the greater Philadelphia area including the Philadelphia Phillies and Embassy Suites annual Halloween Party for CHOP’s Pediatric Oncology and Hematology patients. She was an ensemble member in the Broadway Theatre of Pitman’s "A Chorus Line" and was a dancer/backup singer for Sarah DuVall Pearson's "A Christmas Journey" at the Ritz Theatre Company in Haddon Township. As well as being a dance instructor at local dance studios, Ms. Kim also was a part of J.O.Y. Making a Difference, an after-school program provided at Paulsboro Middle and High School. The program provides academic enrichment programming, character development, and it also focuses on health, nutrition, fitness, and physical activity. 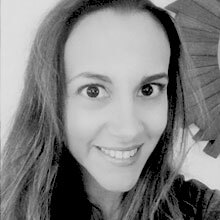 She holds a Masters of Arts degree from Drexel University in Dance/Movement Therapy and has worked with children and their families in a variety of settings including hospital, schools, and in the homes to assist with medical, behavioral, and emotional difficulties. As a dance instructor, Ms. Kim utilizes her love of dance along with her therapeutic skills to maintain a positive, fun, loving, and safe educational setting for her students. Kim is excited to begin her fifth year at Fit to Dance Studio! 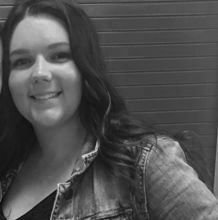 Amanda Vahey has been a part of the Fit to Dance family for over 5 years and has loved watching the students grow. As our Acro and Kids Dance Fitness leader, her background comes from competitive cheerleading, and she's also a certified gymnastics instructor (USA Gymnastics) and a Zumba instructor. A new mom to son, Brayden Joseph, Amanda is also a special education teacher at Woodbury Heights Elementary. She loves working with kids of all ages and abilities and looks forward to another great season at Fit to Dance. A native Woodstown residence and fitness enthusiast, Laurie Barber found her love of fitness at a young age when she started dance and cheerleading. She carried her passion for fitness into her adult years and became certified as a Group Fitness Instructor and Personal trainer with certifications in AFAA, AAAI and Les Mills® International programs BODYPUMP® and BODY COMBAT®. She is currently most passionate about her Fit-HIIT and Fit-Buti classes with her "embrace the process" approach! She has an equal love for her Pilates classes and most recently TRX suspension training. Laurie has been teaching group fitness and personal training for more than 15 years. She strives to educate people about fitness and the importance of staying physically active with balanced eating habits. She brings her passion for an active, healthy lifestyle to each and every class. Taking into consideration that every person is at a different fitness level, she works at pushing you to YOUR personal limit. Laurie has participated in many 5/10K races, a few Tough Mudders and loves getting all "Colored-Up" in local color runs. Her future goals are to help others find their love for fitness and continuing her education by traveling to meet the best of the best fitness leaders in the industry! Laurie is married with 4 children. She is very involved in their sports and donates her free time volunteering in their schools and on the PTO. Laurie is a tremendous asset to the Fit2 Dance team! Megan Yarrington started her dance career at the age of ten. It wasn’t until she was sitting in the audience at her little sister’s dance recital that she knew she wanted to dance. By watching the girls gracefully glide across the stage, and tap shoes striking the floor she knew she had to become a part of this world. So she signed up as a ten year old, and it was the best thing she has ever done. Dance became her world. 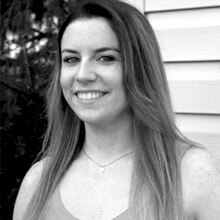 She grew up dancing at Dance U located in Woodstown, training and also student teaching in various styles of dance until she graduated high school, then was given the opportunity to become a teacher at the studio. She will also be a senior at Rowan University this upcoming fall. Majoring in elementary education and reading helps her to combine the two things that she feels most passionate about! Megan loves that she has the opportunity to be able to share her passion with her students and help them to develop a true love for the art. Victoria Stewart started her dance career at Dance! By Debra DiNote at the age of 3. She was a member of the Dance! Workshop Company for 8 years and was in numerous regional and national competitions. She has taken master classes with choreographers Mia Michaels, Chris Judd, and Stepp Stewart. Victoria is currently attending Rutgers University and will be graduating in the spring of 2019 with a BA in Health Sciences. She plans on expanding her education and going back to school to get her Doctorate in Physical Therapy. 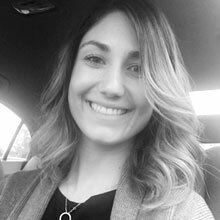 Victoria has experience teaching in Washington Township and cannot wait to share her passion for the art of dance at Fit to Dance. She is so excited to be there for her students to watch them shine and grow into beautiful dancers. 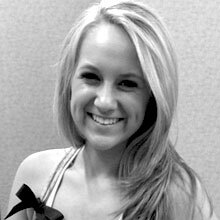 Madison Hall is a 6-year dance teacher here at Fit to Dance Studio. She started dancing at just a year and a half. She grew up dancing at Let’s Dance Studio and Jamie’s Dance Odyssey where she was a member of their performance and competition teams. Throughout her years, she performed at Philadelphia Soul and Philadelphia 76'ers games, Pitman Broadway Theater, and many other places. Madison was a competitive cheerleader from ages 6 to 22 for the Kingsway Dragons and Interboro Hornets. Madison completed her Bachelor’s Degree in Psychology in May 2016 and her Master’s Degree in Administration of Justice with a concentration in Criminal Behavior in May 2017. She is now working as a Behavioral Health Worker at the Children’s Crisis Treatment Center in Philadelphia. Madison is looking forward to another year at Fit To Dance Studio, where she loves the opportunity to share her passion for dance with her students! 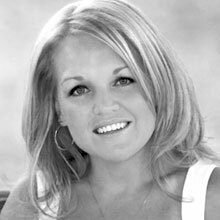 Wanda Hoagland is a dedicated and inspiring instructor with a varied and extensive background as a professional dancer and gymnast. A talented and gifted choreographer, she has choreographed the Mrs. New Jersey America Pageant and is frequently asked to judge other pageants and competitions. Immersing herself in the disciplines of dance and gymnastics since childhood, she proceeded to win numerous scholarships and awards recognizing her accomplishments. Honors from Dance Masters of America and Dance Olympics included. Wanda's intensive training has led to roles in movies, and her professional experience in Resorts International, USO, and several television shows. 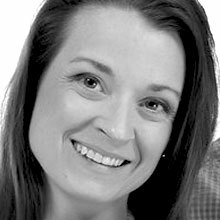 Melissa Holtzhauser has been a dance, vocal/theatre, and tumbling instructor at Fit to Dance Studio since 2013. Growing up as a gymnast and a performer, she has had the opportunity to perform at many distinguished venues, such as Lincoln Center, The Kimmel Center, Citizens Bank Park, and Longwood Gardens. 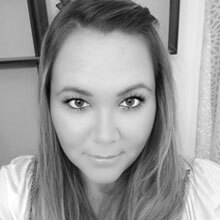 Melissa is a certified nurse technician finishing her studies of nursing at Rowan University, where she first obtained a degree in Psychology with a minor in French. She will soon be transferring to receive her BSN, with which she will use to work in the neonatal intensive care unit of hospitals. Melissa just bought a house, and is so excited to be planning a wedding for October of 2018. She loves being able to share her love of performing with her students and she is so grateful for the opportunity Fit to Dance has given her! Sara Kovarovic started her dance career at Dance! By Debra DiNote at the age of 4 and was a member of the Dance! Workshop Company for 9 years. She began competing at the age of 6 and also performed in yearly productions where she earned lead roles for 3 consecutive years. Sara attended Drexel University, where she was a member of the Drexel Dance Team for four years. During her time on the team she choreographed for the team and also performed during all basketball games, other sporting events, galas and competed on the national level. Sara now works at URBN Urban Outfitters Inc. as an event planner, but still has a love for dance! 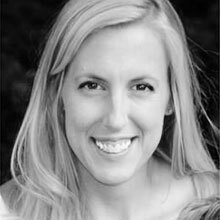 Sara previously has taught adult fitness at Fit to Dance, and has taught student classes for the last two years. She is excited for the upcoming year to teach hip hop again to such wonderful students at Fit to Dance! 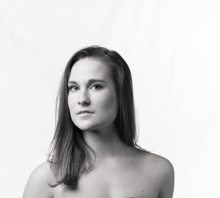 Erin Mahoney grew up in Boston and moved to South Jersey after finishing college at Franklin Pierce University in 2012 with a BA in Theatre with a concentration in dance. She has been dancing since age three and is trained in a variety of dance styles, including ballet, tap, jazz, lyrical, modern, and hip hop. During her time at Franklin Pierce she was on the Raven Thunder Dance Team as a dancer and choreographer. She has performed with KN Dance & Entertainment for multiple events over the past two years. Included in these events is the annual CHOP Halloween Party hosted by the Philadelphia Phillies. She has had years of experience with children as both a dance instructor and a nanny. 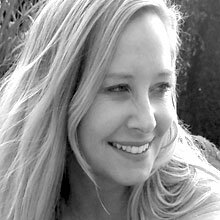 Erin is also an accomplished writer and has just published her third novel. She is excited to begin her sixth season with Fit to Dance! 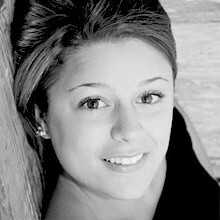 Sabrina Lamberti is a Dance assistant at Fit dance studio . She started here in the beginning of the year and made a lot of new friends. Sabrina has done acting modeling singing and dancing.Living in California since she was one was always doing some type of performance. Sabrina loves working with kids and showing them what she loves best. Sabrina and her dancing years through high school helped teach a creative movement special-needs class for children with any kind of needs Wanted to dance . Throughout all dance competitions and recital’s Sabrina really did miss doing what she loves the most. After high school and really missing dance she came to work at fit to dance studio to still do which she loves but also teach kids to do love it too. Erin Moore is an ACE-certified fitness instructor who has been teaching fitness classes for the past 6 years, and barre classes at Fit to Dance since 2013. 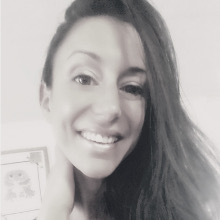 Prior to teaching fitness classes, she was an elementary school teacher in the Swedesboro-Woolwich School District, and began her career in the fitness industry as a way combine her passion for teaching with her passion for fitness. She resides in Mullica Hill with her husband and two sons. I began dance when I was two at Dance By Debra DiNote. Also, being a part of thy Dance Workshop company for many years and studying every style from ballet to hip hop. I attended GCIT for high school where I focused in dance. I have competed in many competitions and have studied with many choreographers that have impacted my dance career in the most positive way. I danced for sixteen years and I am still pursuing my love for dance by obtaining a dance minor at Rowan University where I also major in Psychology. After graduating Rowan in the summer of 2019, I plan on pursuing occupational therapy. I am beyond excited to share my passion and love for dance with the generations to come. Most importantly, I am excited to teach here at F2D! teacher of her own dance classes during high school and college while still training as a student. supervised Princess Dance Camp for many summers. Rebecca holds a teaching degree in Early Childhood Education from Lock Haven University. 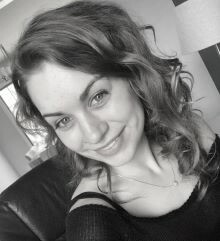 Rebecca enjoys sharing her passion for dance with students in a safe and caring environment. When she is not dancing, she enjoys spending time with her golden Retriever and family. Rebecca is excited to be a part of the Fit To Dance staff this year! 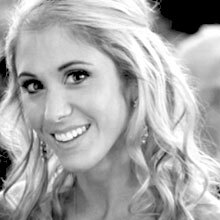 Alyson (Aly) Schroeder began dancing and cheerleading at a very young age. She continued her love of dance and movement for many years by studying classical ballet in Philadelphia, PA at The Koresh Dance Center and Symmetry Dance Wellness. She is also a certified group fitness instructor and licensed clinical social worker. She loves to share her passion for dance, fitness and emotional and physical health with all ages. Aly combines strong dance technique with fun and creative movement to create dance classes that enable each dancer to reach his/her full potential. Her fitness classes incorporate HIIT-style, kickboxing and barre workouts to provide a total body workout that accommodates every level of fitness. Her focus is on having fun, getting fit and helping people reach their full potential by tapping into their unique strengths. Kristin Bowen-Ashwin started her dancing career at the age of 2. Her training includes Ballet, Lyrical, Contemporary, Tap, Jazz, Baton, Hip Hop, Acrobatics, & Classical & Modern Ballet. Following her love for assisting teachers in the classroom, she achieved her teaching certificate with the Jay Dash Dance Teacher Training Convention at the age of 11. the next year, she took her first job as a teaching assistant for an injured teacher. She has been training & inspiring young dancers ever since. 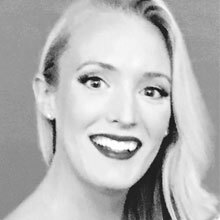 Kristin studied Modern Ballet & Contemporary at the University of Miami where she earned her BBA in Finance & Music Business and Entertainment Industries. After college, Kristin returned home to New Jersey, but through attending workshops & conventions all over the country, she has continued to broaden her technique & style of dance. She also received of Gymnastics Training Certificate while working at a local South Jersey gymnastics facility where she trained team level students. Kristin joins Fit 2 Dance with over 24 years of teaching experience which includes routines that have placed in the top overall scoring at competition, students who have gone on to dance professionally, & a technique driven style that encourages students to think positively about their abilities & use the art of dance as their way to openly express themselves in a creative & safe environment. Jenna Scott is excited to be a part of the Fit to Dance staff for a fifth year! Miss Jenna, a history teacher at Clearview Regional High School, earned her bachelor’s degree in History from West Chester University. She has studied dance at Trisha Sloan Dance Studio and was an active member of the dance company by performing in various competitions, holding various roles as a cast member of "The Little Match Girl" and performing in Walt Disney World. She performed with Ballet South in their productions of "The Nutcracker" and "Coppelia." 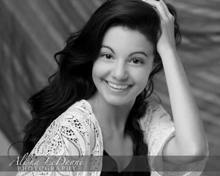 Miss Jenna also studied at Kathy Henkel School of Dance and The Professional School for several years. At West Chester University, she continued to study dance and was a member of the Dance Production Workshop. She also works as the choreographer for Clearview Regional High School musicals, and lives in Mullica Hill with her husband Chris and their two children, Annabelle and Brandon. A Fit to Dance Studio Alumni, Nicole Testa is currently a Sophomore double major in Dance and Nutrition/Dietetics at Rowan University. At Rowan, she is a member of Dance Extensions, the contemporary dance company, which has given her numerous opportunities. In her first year, she was cast in Rowan University's Main stage production of "Danse Macabre," the choreography showcase: "Movemeant," and also performed in and choreographed a Senior project entitled "No Love Dying." 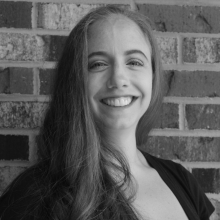 Nicole has trained in numerous styles of dance and has attended many workshops including ACDA, The American College Dance Association conference held at the University of Maryland. In December of 2014, Nicole performed is Andrea Michaels Dance Project's holiday production: "Tis the Season," at Dante Hall in Atlantic City. While at Fit to Dance, she was a member of F2D Elite, their competition team. During Nicole's junior year of high school, she started assisting classes at F2D and has always been so grateful for the opportunity to share her passion and knowledge of dance with her students. She is so excited to continue on this journey, and cannot wait to see how much her students grow this year! Taja Fooks-Thornton a Pennsauken native, started her dance career at the age of nine years old. She has trained in many genres of dance including ballet, modern, jazz, and hip hop. She started her professional training at Eleone Dance Unlimited and was a second company member of Eleone Dance for four years. She is a graduate of Rutgers University Mason Gross School of the Arts as well as Rutgers University School of Communication & Information. She has been teaching dance for several years and continues to train and dance professionally. 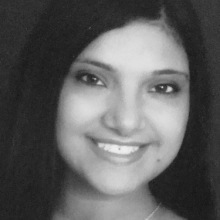 Eleni grew up in Mantua and is a graduate of Clearview High School. She currently resides in Woodstown with her daughter. It wasn't until her adult life that fitness became a true passion. The more she learned, the more she enjoyed sharing this knowledge with others. This is what drove her to receive her first AAAI certification and nutrition certification. This background helped open up exciting corporate doors for Eleni, as she became the Health and Wellness advisor for Rastelli Foods Group traveling all over the country speaking on the benefits of clean eating and fitness. It was during this time she was blessed to have the opportunity to work under and learn from author, health and fitness guru, and creator of The Metabolic Method, Lydia Martinez. She in many ways became Eleni's mentor. Teaching her extensively about fitness and grooming her as a successful weight loss coach. She has taken that knowledge and coached many people to achieve their health and wellness goals losing hundreds of pounds. She has also participated in The Under Armor Combine Certification where she received advanced knowledge in balance exercises, hiit and core training. Now the mom of a toddler, she understands life is busy. Eleni focusses on fast effective workouts that target women's most troublesome areas. Her workouts are designed to quickly shred fat, pounds, and inches . It doesn't matter if you are a beginner on your wellness journey or a seasoned "Miss Fit". All of the exercises utilized in her program are modifiable and can progress along with you. Eleni has previously taught boot camp style classes at F2D and is excited to be part of the team again! 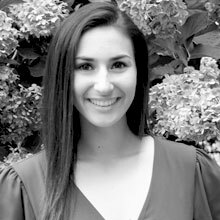 Maggie Keller is from Glassboro New Jersey and received her Bachelor of Fine Arts in Dance from Montclair State University. While attending Montclair State, she has had the privilege in preforming works by Larry Kegwin, Shapiro and Smith, Christian Von Howard and Maxine Steinman. Maggie has also received training from The San Francisco Conservatory of Dance and The 10 Hairy Legs Repertory Company. Maggie has been apart of the production team for Dance On The Lawn Dance Festival, held in Montclair NJ, under the direction of Charmaine Warren and Laura Marchese for the past two years. Maggie is currently a member of Alchemy Dance Company in Philadelphia, PA, training and working professionally in the Philadelphia area.